Sam is an original Cali girl, but grew up in North Carolina. 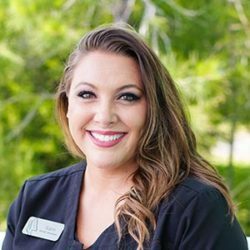 She moved to Myrtle Beach and enrolled in the Expanded Duty Dental Assistant program at Horry Georgetown Technical College and graduated in 2013. She loves going to the beach, spending time with her dog Bella, friends and family and a good karaoke night.